Modern production requires a very high level of automation. One big benefit of fully automated plants & processes is the reduction of faults that may lead to highly expensive downtimes. 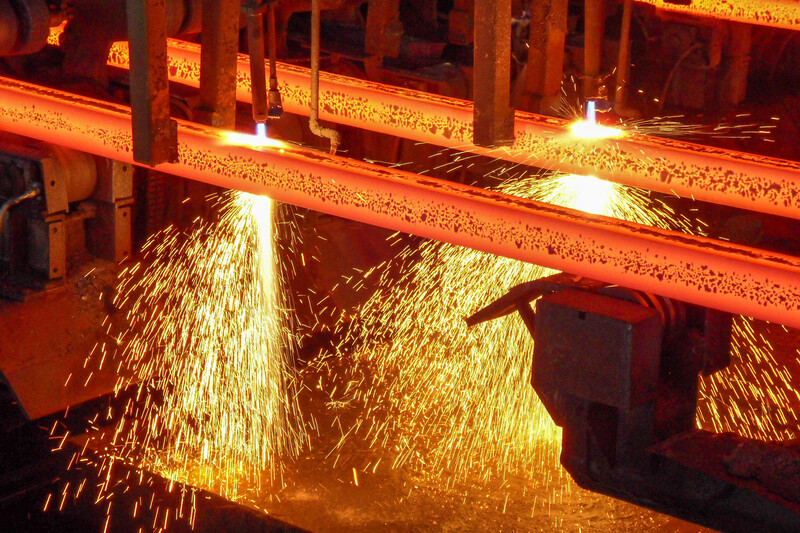 In large steel plants there are hundreds of red hot steel slabs moving around. They are being processed, milled and manufactured into various products, such as wires, coils and bars. Keeping track of these objects is of upmost importance to ensure a smooth and cost efficient production. A blockage or damage of a production line usually leads to an unexpected downtime and it takes hours to be rectified and restart the process. To meet these challenges of the manufacturing processes, in modern steel plants you need to control and monitor automatically material flows. This applies especially the path of the workpieces through the plant and sensors to detect the parts will be placed also at locations with limited access or in hazardous areas within the factory. A non-contact infrared temperature sensor can detect here reliable the flow and presence of red hot materials in the production process. Standard sensors, such as inductive or photoelectric devices, cannot be used near red hot objects as they either would be damaged by the heat. Or they just would be overloaded with the tremendous infrared radiation emitted by the object. Compared to these standard sensors, there is a sensing principle that is exactly using this infrared radiation to detect the hot object and even gives a clue about its temperature. Non-contact infrared thermometers meet the requirements and are successfully used in this kind of applications. They can be mounted far away from the hot object, so they will not be destroyed by the heat. They capture the infrared light emitted by a hot object as this radiation travels virtually unlimited. Moreover, the wavelength and intensity of the radiation can be evaluated to allow for a pretty accurate temperature reading of the object. Still there are certain parameters to be set or taught to make the device work correctly. As many of these infrared thermometers are placed in hazardous or inaccessible places, a parametrization or adjustment directly at the device is often difficult or even impossible. Therefore, an intelligent interface is required both to monitor and read out data generated by the sensor and – even more important – to download parameters and other data to the sensor. Traditional photoelectric sensors generate a signal and receive in most cases a reflection of this signal. Contrary to this, an infrared sensor does not emit any signal. The physical basics of an infrared sensor is to detect infrared radiation which is emitted by any object. temperature. This radiation is called temperature or heat radiation. If you use different technologies, such as photodiodes or thermopiles, this radiation can be detected and measured over a long distance. As an universal intelligent sensor interface IO-Link has been established at nearly all sensing technologies over the past 10 years. IO-Link is a standardized uniform interface for sensors and actuators irrespective of their complexity. They will provide consistent communication between devices and the control system/HMI. IO-Link also allows a dynamic change of sensor parameters by the controller or the operator on the HMI, thus reducing downtimes for product changeover and format change. If you need to replace a device, there is automatic parameter reassignment as soon as the new device has been installed and connected. This too reduces manual intervention and prevents incorrect settings. No special device-proprietary software is needed and wiring is easy, using three wire standard cables without any need for shielding. Therefore using IO-Link is the perfect interface for a contactless infrared temperature sensor in the automated production process. Beside temperature there are other values and data generated inside this infrared temperature sensor. Users can upload the data to control systems and also use this information for condition monitoring and preventive maintenance purposes. Steel plants need to know in-process data to maintain a constant high quality of their products. Sensors providing more information thann just binary signals will generate extra benefit for reliable, smooth production in the Industry 4.0 context. 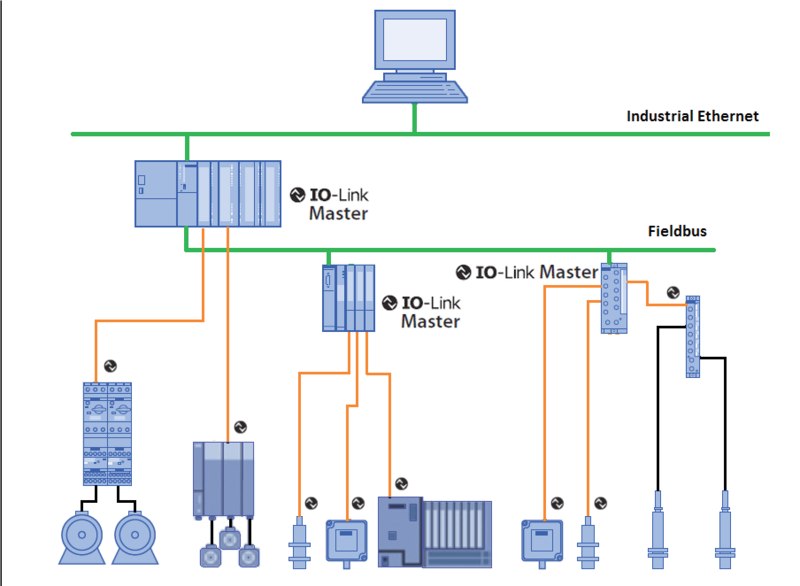 If you want to read more about the IO-Link technology follow this link to the Automation-Insights-Blog: Is IO-Link only for Simplifying Sensor Integration? You can use infrared temperature sensors for object detection in all kind of applications with temperatures above 250°C ( 482°F). Whether it is manufacturing of metals, ceramic or glass, the challenging environment around foundries & furnaces is finally the place for this industrial non-contact infrared temperature detector. Manfred Muenzl Industry Manager Metallurgical Industry at Balluff GmbH.